Joseph O’Brien had another good night at Dundalk when sending out a treble at the all-weather venue on Friday evening. He teamed up with Seamie Heffernan for the first two winners and Numerian struck for the pair in the STAGIT.ie/HENIT.ie Race when running out a cosy length winner. The 7-1 shot claimed Sky Seven late on to land the seven-furlong contest, turning around previous course form with stablemate Colfer Me who finished back in third. Just half an hour later The Game Of Life doubled up for the duo when coming late to claim the Dundalkstadium.com Handicap. The 13-8 favourite got on top in the closing stages of the mile contest to get the better of Sevenleft by three-parts of a length. Chess Grand Master brought up the treble for O’Brien when powering home to claim the two-mile “Bet 5Euros Get 30Euros For All New Customers At BetVictor” Race. Wayne Lordan did the steering this time as the 5-2 chance hit the front a furlong and half from home to register a three-and-three-parts-of-a-length win. 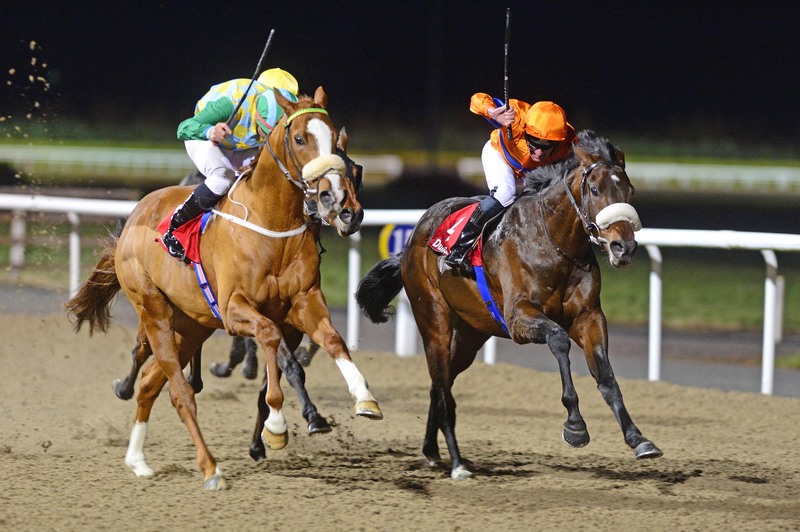 Lordan went on to complete his own quick brace when Drakensburg (5-1) ran out an impressive winner in the opening division of the Fundraise At Dundalk Stadium Handicap. over a mile and a half. Tony Martin’s charge led a furlong out before powering clear in the closing stages for a six-length success. It was red-letter day for young Dean Curran in the opening Ace Casino Kildare Town Claiming Race as he partnered his first winner on 1-2 shot Yuften. The race proved plain sailing for John Feane’s charge as he led over a furlong out to post a three-and-a-quarter-length victory. The Gavin Cromwell-trained Nisior Donn (8-1) ran out a decisive length and three quarters winner under Donagh O’Connor in the Crowne Plaza Dundalk Race & Stay Apprentice Handicap. Cityman (11-4) made the breakthrough at the sixth attempt when asserting inside the final furlong to claim the six-furlong Hydroscand Ireland Maiden by two and a half lengths for Andy Slattery.